Distracted Driver Car Accident Lawyer | Shamis & Gentile, P.A. Multitaskers are highly sought out in the business world. However, being a multitasker isn’t always the best quality to have, especially if you are doing it while driving. While eating lunch, they answer emails. While typing up a letter, they also negotiate successful business deals on the phone. While driving, they return phone calls or read text messages and unfortunately, multitasking behind the wheel of a moving vehicle is a recipe for disaster. 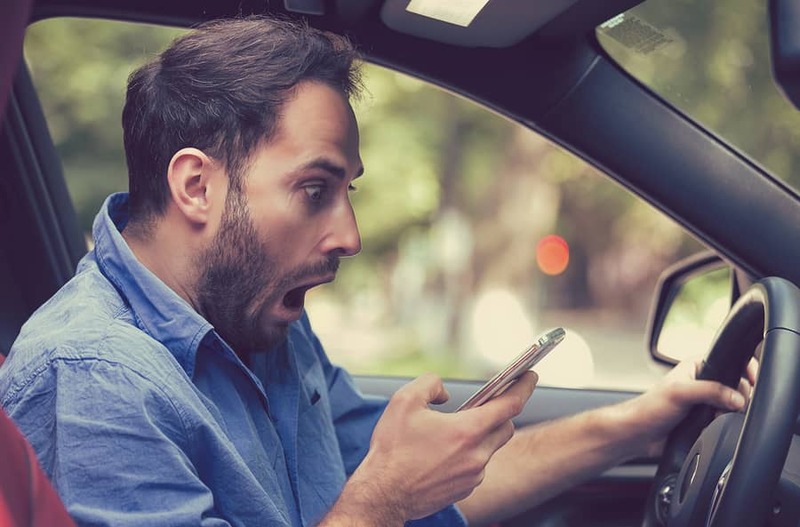 If you’ve been injury by someone multitasking behind the wheel, call a Distracted Driver Car Accident Lawyer at the Miami law firm Shamis & Gentile, P.A. Contrary to what you might think, most people are not good at everything they are doing while multitasking. Instead of doing two tasks really well, they do two things at the same time rather poorly. Simply put, the human brain can switch back and forth between activities quickly, but your performance will suffer. This is especially true of driving. According to CNN, adding even one more task, such as listening to the radio while driving, reduces the amount of your brain bandwidth dedicated to driving by about 37%. Think of it this way: Instead of using more of your brain when you multitask, you simply steal part of it from one activity in order to do a second one. Think of it as driving with both eyes open and then closing one, this is basically what you are doing by multitasking behind the wheel. All told, only about 2% of the population excels at multitasking—so chances are you are not one of them. And studies have shown that those who think they are the best at multitasking are often the worst. It’s one thing to multitask while sitting at your desk at work. It is quite another to be doing it once while behind the wheel of a moving vehicle. Not only do you risk injuring yourself, but you could cause devastating injuries to other people. According to a statistic from the Centers for Disease Control and Prevention (CDC), about 9 people are killed each day by a distracted driver. Another 1,000 suffer an injury in a collision caused by a distracted driver. Depending on your speed, you can travel a long distance in a very short amount of time. For example, you cover an entire football field while reading a text message for five seconds while going 55 miles per hour. Taking your eyes off the road for even a split second can lead to an accident. In that time, a child could run in front of your car or another vehicle could swerve into your lane. Miss a pedestrian who has stepped into the crosswalk right before the light changes. It is very easy to hit someone in this situation. Not see the light change and get rear-ended by a vehicle following you. Fail to see a vehicle running a red light across the intersection. One reason people multitask is that they have not given themselves enough time to get to their destination, so they feel the need to eat, drink, and/or brush their hair while in the car. If you plan enough time into your trip, however, you can accomplish these tasks in places other than behind the wheel. Injured by a Distracted Driver? Need a Distracted Driver Car Accident Lawyer in Miami? A distracted driver can cause catastrophic injuries daily, and unfortunately there appears to be no end in sight. If you have suffered an injury at the hands of a distracted driver, you should meet with a distracted driver car accident lawyer to discuss your options. At the South Florida Injury Attorneys, our team of car accident lawyers in Miami are ready to help. Call 305-479-2299 to schedule an initial consultation with a Distracted Driver Car Accident Lawyer in Miami, Florida today.